Pinterest isn’t just another time-killing-app. Pinterest is leading the way in event marketing. According to an article, I found, Pinterest pins are 100 times more spreadable than a tweet, with the retweet average hitting only 1.4%. And, as for Facebook, the half-life of a pin is 1,680x longer than a Facebook post. I soon came to realize that Pinterest is a great tool for any event businesses, in particular for promoting upcoming and past events. 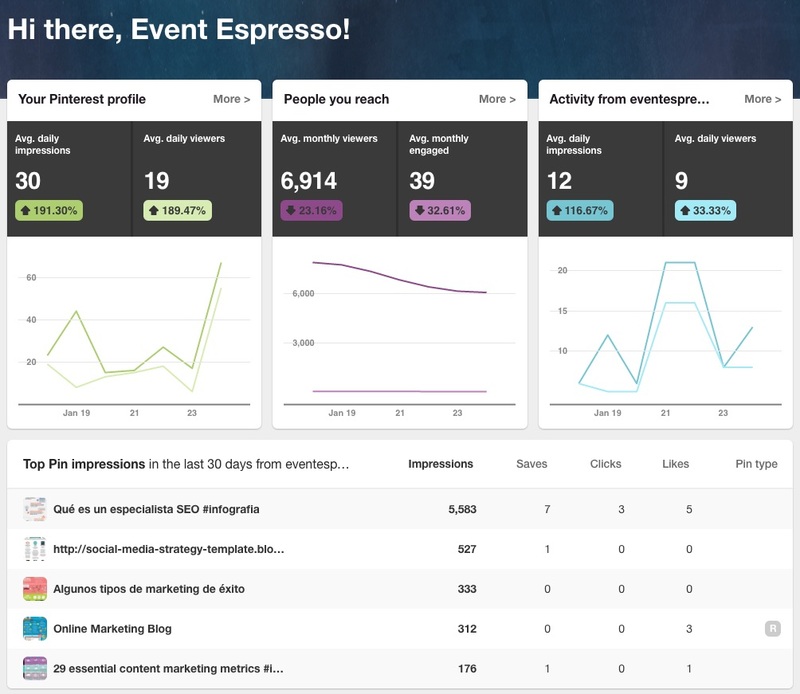 How is Event Marketing with Pinterest Different? Why is Pinterest Important to your Event Business? 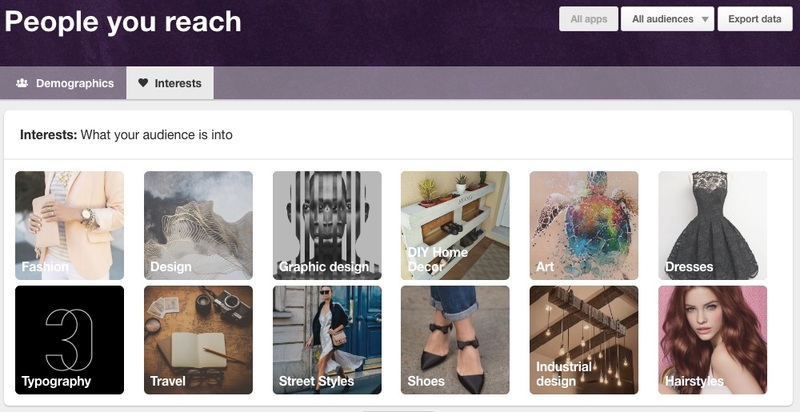 Pinterest’s ease of use for visually bookmarking, organizing and sharing things you love has made it a hit among individuals and businesses alike. Aside from feeding obsessions with backyard ideas or exotic destiny vacations and gourmet food, the real strength of Pinterest is the integrated features of their business accounts. If you aren’t already aware, Pinterest is a personalized media platform and visual bookmarking tool. Pinterest allows its users to share visual assets like photos or infographics as a type of social currency in their own right — for example collecting likes and “repins” is the equivalent of shares or retweets — instead supplementing web pages, blog posts, or other text-based media. The visual aspect of Pinterest is one reason why it’s captured the interest of so many businesses, from photographers and designers to big name retailers, who are using it as a portfolio or merchandise catalog. Customers and clients can say which products they love (shoes, bottles of alcohol, furniture, etc.) and want to buy for themselves, and their friends can facilitate the endorsement by pinning the pictures to their personal walls. 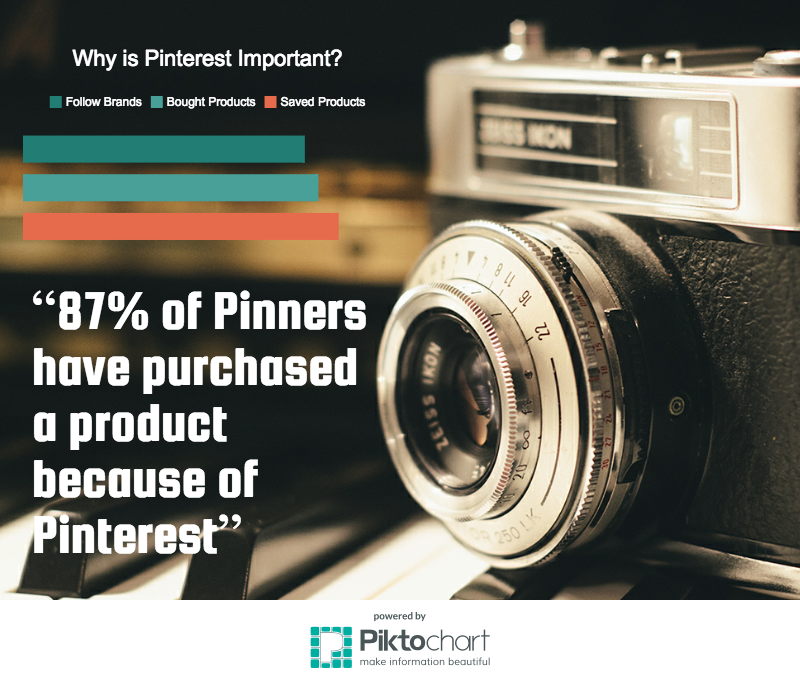 Pinterest stands out from other social marketing platforms because Pinners are open to your marketing. Two-thirds of the content saved to Pinterest comes from businesses. And that isn’t just coincidence. According to the research from Ahalogy, Pinners are eager to connect with brands. Active Pinners have a 9% higher average income than non-users, according to Ahalogy. Businesses looking to reach this sought-after demography also get an added benefit for their investment: active Pinners say they spend less time consuming traditional media like magazines, catalogs, and television. In other words, you can reach the audience you want for much less than it costs to invest in traditional advertising. Pinterest is capable of driving significant referral traffic — Over 5% of all referral traffic to websites comes from Pinterest, according to 2014 Shareaholic research. This is second only to Facebook, which drives almost 25% of all referral traffic on the web. (Twitter, StumbleUpon, Reddit and Google+ each refer less than a 1% share of the market.) This basically means that an event businesses with clickworthy content on Pinterest have a better chance at driving conversions and other desired actions on their website. Pinners have more purchasing power than non-Pinners — Active Pinners have a 9% higher average income than non-users, according to Ahalogy. Businesses looking to reach this sought-after demo also get an added benefit for their investment: active Pinners say they spend less time consuming traditional media like magazines, catalogs and television. In other words, you can reach the audience you want for much less than it costs to invest in traditional advertising. You are likely to sell more tickets to your events, classes, concerts, and conferences on Pinterest. Pinners have larger shopping carts — The average order value from Pinterest referral traffic is $58.95, compared to $55 for Facebook, according to Shopify research. Posting images of past events and classes you teach is an excellent way to gain more ticket sales. Pinterest influences purchase — Pinners are engaged, loyal advocates. That advocacy isn’t just limited to browsing. In fact, a vast majority of Pinners use Pinterest to decide what to buy, which also applies to how people choose venues for weddings, large conferences, and catering companies. For instance, many event planners use Pinterest to find the perfect venue or food service and catering ideas. Pinterest can help grow your branding by fitting into someone’s life — 66% of Pinners say they use the service to save and collect things that inspire them. When you add a mix of inspirational and actionable Pins, you’re giving people creative ideas that help them plan for what’s next. Imagine how useful Pinterest can be to your next Paint & Vino or Car Show event. When attendees share the experience on Pinterest after the event, you can easily re-Pin your attendees photos on your Pinterest Board. Here a few great Pinterest boards related to events and event marketing. As you will see upon visiting these boards, there are thousands of inspirational event ideas available on Pinterest. Special Events — this board is ideal for viewing the latest venue trends, as well as over 10,000 of the latest catering, fashion, and design trends. 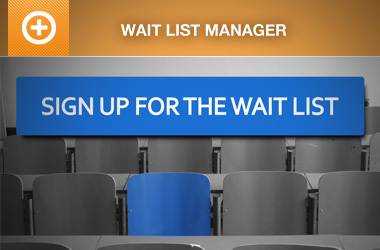 Event Marketing — this board is a great resource for all of the latest event marketing trends. Event Planning — this is one of our Pinterest boards with curated pins about event planning. Pinterest is a godsend to future of event marketing. 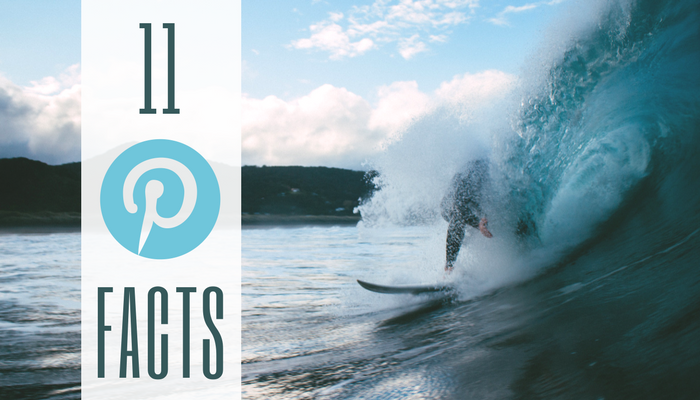 With Pinterest, you can quickly reach a broad audience just by sharing an image. 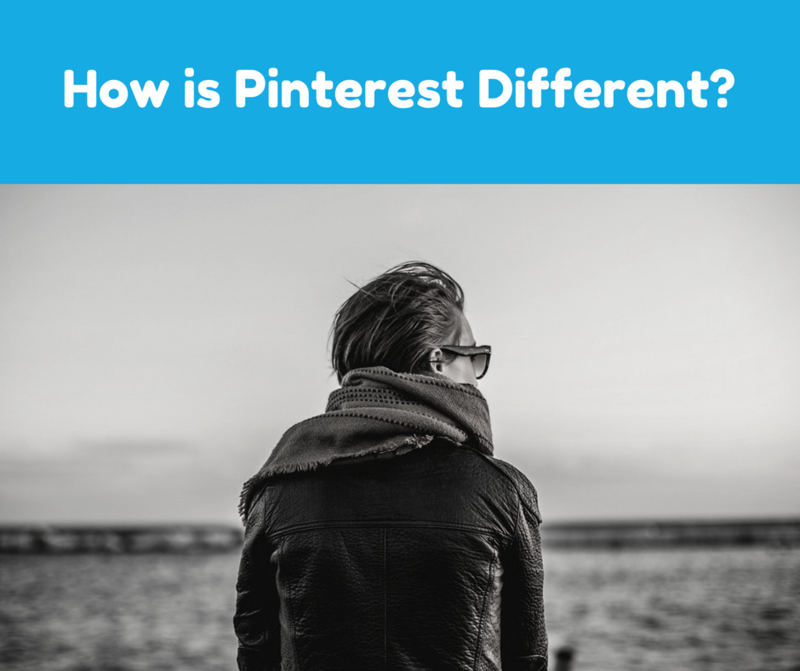 As you already know by now, Pinterest is very different from Facebook, Twitter, and LinkedIn Pinterest is not a real-time platform; in contrast, pins tend to continue generating traffic for many weeks after posted. Pinterest is also not particularly conversational. Nevertheless, using Pinterest for events has substantial potential. You just need to do it the right way. Share presentations or key slides from the event on Pinterest — Since Pinterest allows you to upload your images, you can take screenshots of slides or demonstrations and share them with notes on the key point. For Extra Credit: Place a link to your Slideshare presentations in the pin description. Promote your subject matter, and expertise year-round with Content Marketing on Pinterest — Pinterest is great for content marketing. 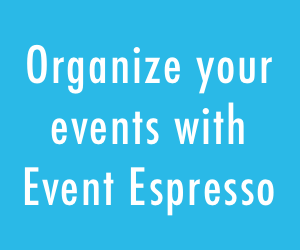 Check-out Event Espresso on Pinterest for examples: we have boards on Event Marketing Tips, Event Planning, Content Marketing, and more. People attend conferences for the content and networking, so remind them year round why they want to come again next year while attracting new fans in the process! Give event attendees, speakers and sponsors another way to network — Create community boards and let attendees, speakers or speakers produce related content for you. Pinterest provides a great channel to grow as an event organizer while building a community around your event business. Create a crowd-sourced photo album of the event — Collect photos from your event attendees! The Pinterest mobile app is ideal for quickly pinning photos from a mobile device. Invite event attendees to contribute as collaborator’s to the event’s board and you have an instant photo album of the event. You can also turn it into a competition and give prizes to the most rePinned Photos. Run a Pinterest Competition during the event — Using Pinterest contests, your brand can engage with consumers in a personal and cost-effective way. Competitions can also help you collect customer information, preferences and feedback. This valuable data can then be put into action to enhance your offerings and acquire more attendees, which is a fun idea that has been around for a few years on Pinterest. However, you need to make sure you don’t break the rules. 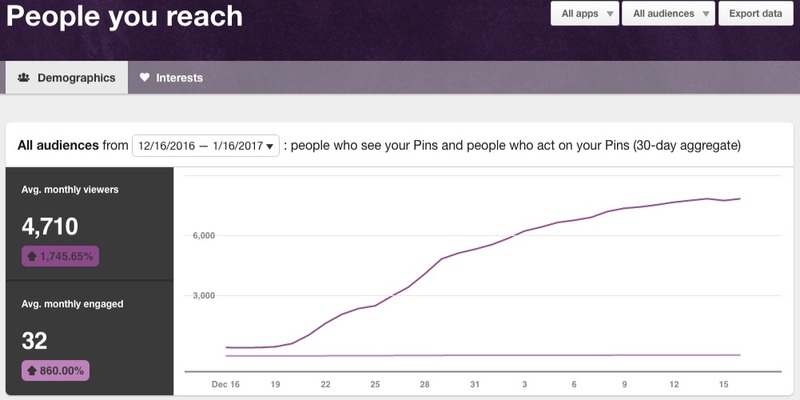 As a Pinterest Business user, you get access to Pinterest Analytics, which has a lot of valuable data about the people you reach on Pinterest, such as user demographics, interests, and your top Pin impressions. Consistently measuring your activity on Pinterest can also help your business identify what types of content resonate best on this platform and with your specific audience. Our Pinterest account was somewhat dormant before I decided to take it over. As of December 2016, I started re-Pinning some seasonal pins, I found, as well as creating a few custom images to share. I also started adding nicer images to some of our older blog posts, then started sharing the pictures with a link back to our website. As you can see in the picture below, our average monthly viewers and engagement grew substantially over that 30 day period. Pinterest also allows us to gauge the interests of people we reach. We can use this data to write better articles and when promoting our products on the Pinterest marketing platform. 67% of Pinners are under 40-years-old. Over 5% of all referral traffic to websites comes from Pinterest. 93% of active pinners stated that they use Pinterest to plan for purchases and 87% reported that they’d bought something because of Pinterest. The average Pins made by an Active Female User is 158. If you’ve made it this far, you are aware that Pinterest is a very powerful platform for growing the reach of your event and gaining interest around your next event. It also presents a terrific opportunity to stay top of mind with your customers, sponsors, and others in your event niche. If you haven’t used Pinterest as a resource when it comes to planning your event, then you are likely missing out on a time-saving asset. Pinterest is full of ideas, and with its simple pinning system, you can quickly organize your thoughts for later retrieval. 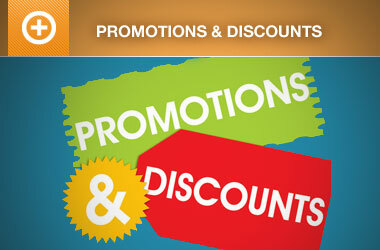 Consider it a scrapbook for your event business! 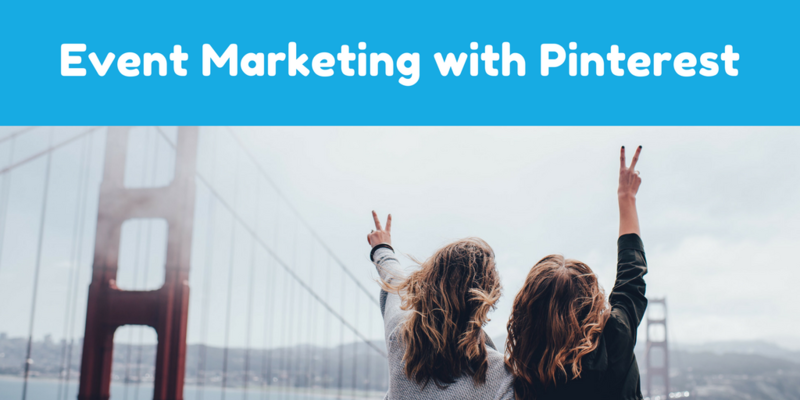 Want to learn more about Pinterest Marketing? Here’s a collection of articles related to Pinterest Marketing. Do you currently use Pinterest to market your events? What are some of the ways you use Pinterest? Share your tips and comments with us in the comments below.